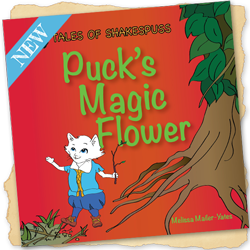 These are the books that form the basis of the Tales of Shakespuss series. 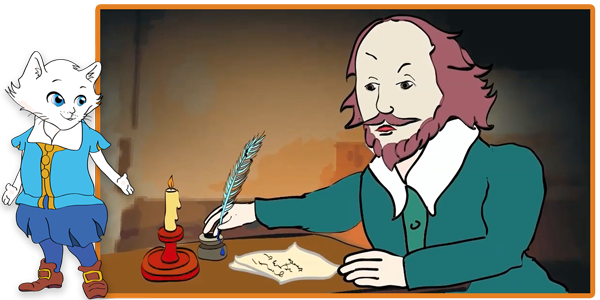 The stories comprise elements of Shakespeare's plays presented in an easy to understand formula designed to be read to children from as early an age as they are able to have stories read to them. In time it is hoped they will progress to early reading as they begin to relate the text to the pictures. 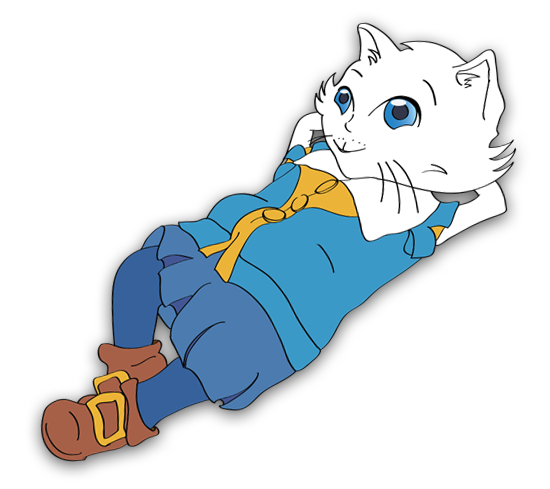 The stories are illustrated on every page in order to maintain the interest of the child, understanding the story from a visual sense thereby gaining knowledge of the words used within the book. 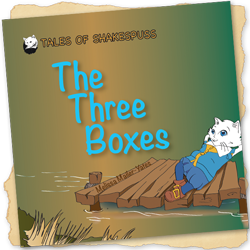 Each play is re-told through the eyes of Shakespeare's cat, William Shakespuss. 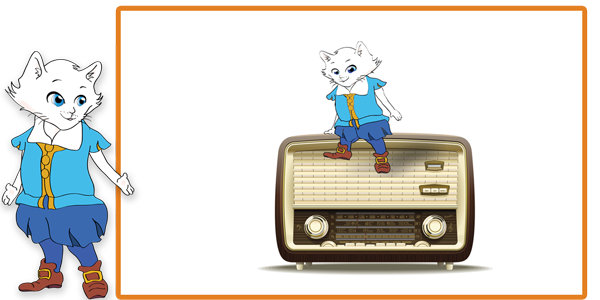 He is ably supported by a varied array of different animal friends who act out the story. 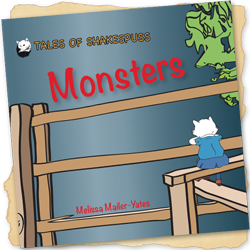 The use of the animals encourages the child to further enjoy the story due to the nature of the loveable characters, beyond those envisaged by Shakespeare, often exemplifying characteristics built into the original writing. In all of the books it is important that the sub-plots, and/or other storylines are taken out in order to present a simple, singular presentation, easily understood by a young mind. 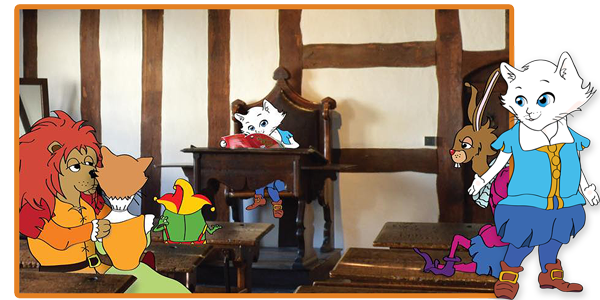 It is the intention to produce a minimum of 25 books in time, building up a library of Shakespeare stories to be treasured. Learning elements of the stories which make up the Shakespeare plays at an early age should reduce any sense of fear or trepidation when reaching a point when the learning of Shakespeare is mandatory in a child's education, they will already be aware of these basics, and may even have been encouraged to gain a thirst for the full text and the complexities of Shakespeare's writing through a love of The Tales of Shakespuss.